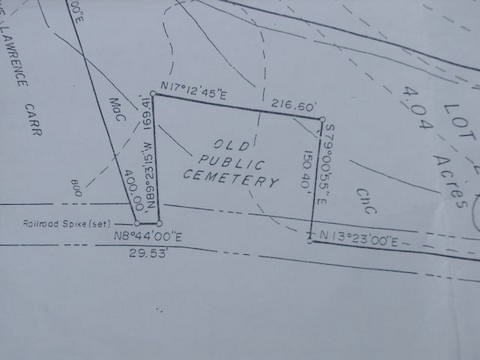 Some how you probably know that this makes me very sad and helpless because my family is buried there and the areas history is buried there. Unfortunately the Susquehanna River flooded a few years back and Shickshinny was almost destroyed. This means that the residents are preoccupied with rebuilding. Here are some more overview photos you can see the height of the bushes, some tombstones peeking out and if you look at the middle one you can see that is goes further down the little hill I had climbed to from the gate back under the trees. There was a chain link fence along the sides and back of this cemetery. I did not venture too far from the top of the hill. If you can find the gate you can find the cemetery. To the south, they may let you park? Ask nicely. The cemetery is to the right of this picture near the road. You see the little US Flags here and there so someone does come to visit on occasion. In the last post I shared my post from my blog "Pennsylvania Wanderings," and my visit to this cemetery. I also gave some ideas for publications for this cemetery. I have started carrying some tools with me for clipping grass and cutting foliage but because I don't live in the area I try not to do much to disturb the cemetery. This map was interesting, it is almost like a survey was done at some time. I did not see a date. Here are more overall photos from that visit in 2008. Remember this was the situation in 2008.